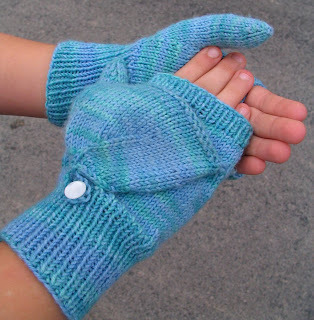 Nelkin Designs Blog: Finally, Flip-Top Mittens! 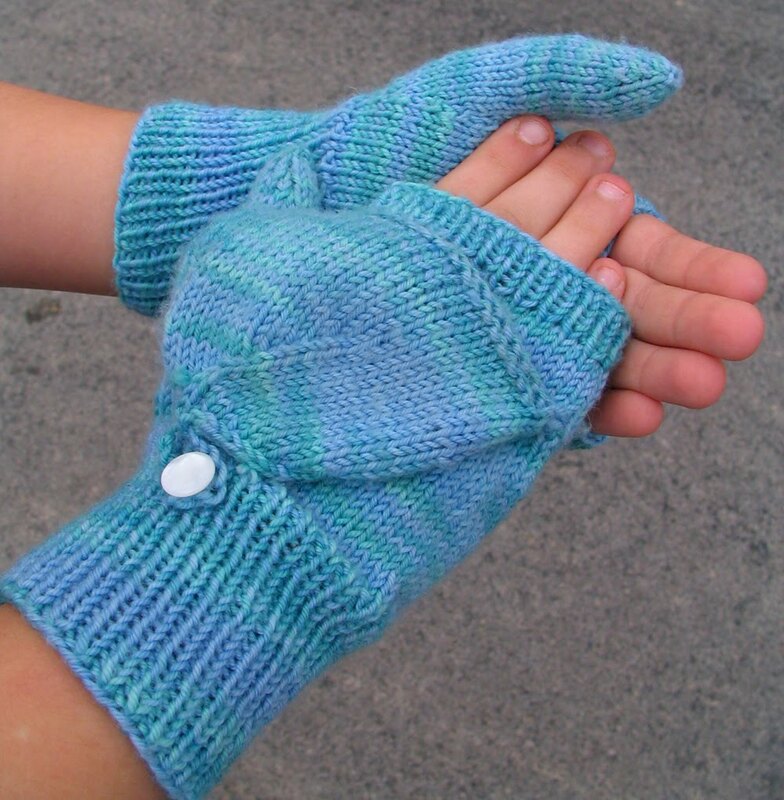 When my Miss B was 6 she very clearly told me EXACTLY what she wanted in a mitten down to all the minute details. These mittens she envisioned had one very clear design detail... they needed a flap so she could get her fingers out for all the important playground activities that required them. So, I made her a pair, just like she ordered, and loved the design so much that I wrote it up and submitted it to Judith Durants 101 Designer One Skein Wonders. 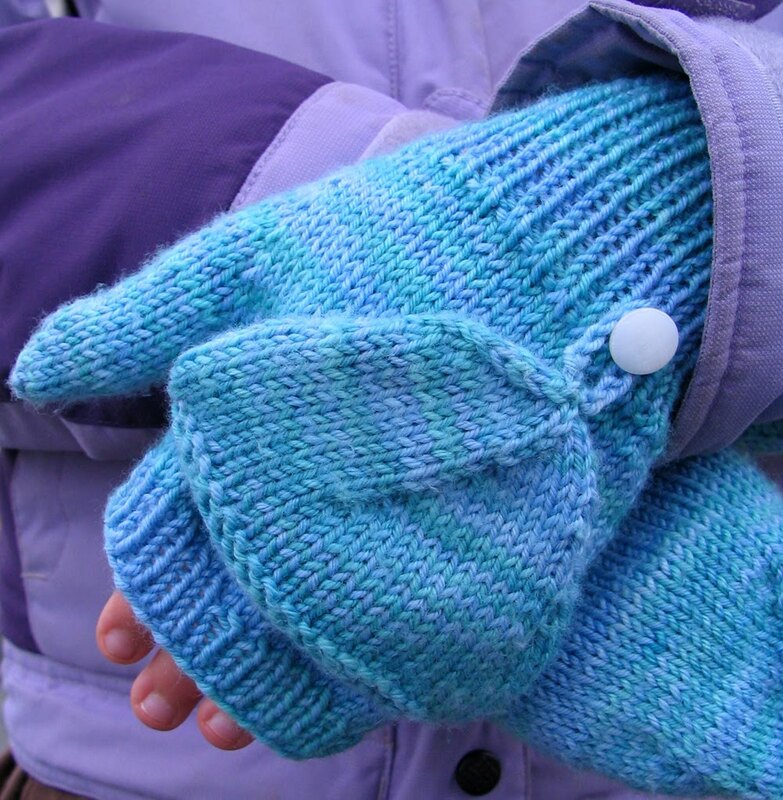 Flip-Top Mittens was one of my first published patterns, and I am still so proud of it! As will happen, Miss B grew out of her gloves, and though they are pink and purple they are now being sported by her 5-year-old buddy, Jayden. Gotta love that boy! This fall she requested a new pair and once I finished my last round of deadlines I quick whipped her out some in Schaefer Yarn's Nichole. The original pattern called for Schaefer Yarn's Lola, which is being discontinued. This was also a great way for me to test that they would work well in Nichole as well... which they definitely do! My girl is thrilled with her new pair of flip-tops, I bet members of your family would be too; the pattern is sized from a size 2 -4 to men's small, so you can make them for almost everyone! oohh congrats to Imene! 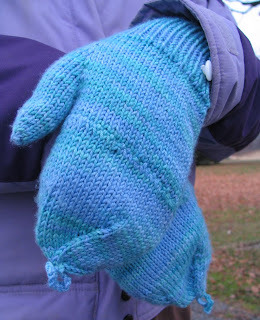 and LOVE the flip top mittens. just finished a pair for the boy and they are perfect! How random...#1...congrats to the winner. Great prize. love these. i wish that my daughter could just order up something like this from me. hope that you are well. miss you.